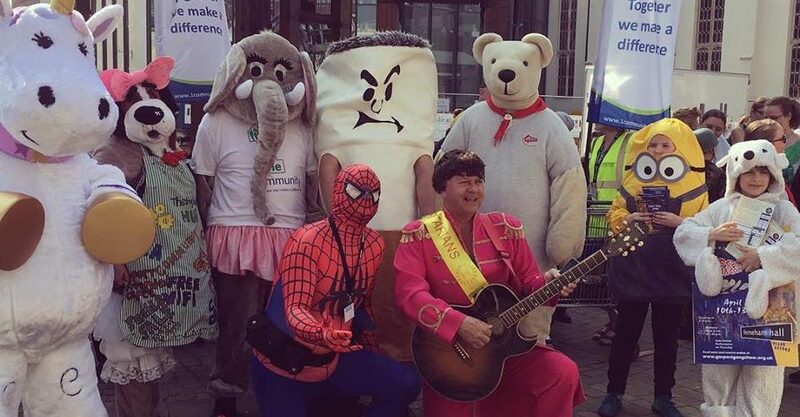 One Saturday lunchtime in March, One Community in Fareham got together an enthusiastic bunch of strangely dressed people. They paraded with enthusiastic music and waving down west street. What could have been the reason behind this unusual behaviour? YES! It was the 2019 Mascot March. Lots of people came and were able to celebrate some of the unsung heroes of our community here in Fareham. Coming together for the good of one another is something everyone really agreed we need plenty of. We even made the newspapers and the local TV “That’s Solent” filmed a news piece there. Thank you to all of the people who came along to make this event such a good thing for Fareham.